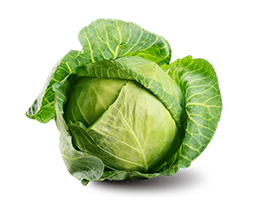 We offer white cabbage all year round. Packaging: 9-12 kg carton or wooden boxes or 10, 15 or 25 kg raschel sacks. Big-bags for processing purposes. Young cabbage harvested from June till September is usually packed in boxes. Cabbage picked-up from October and taken from climate-controlled warehouses is usually packed in sacks.